‘Tis the season for some DIY fun! The television sits high up to avoid direct toy-throwing toddler height. 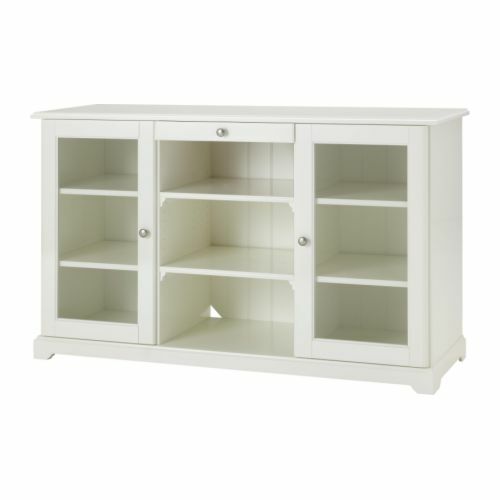 There is lots of storage, perfect for puzzles, games and bins. 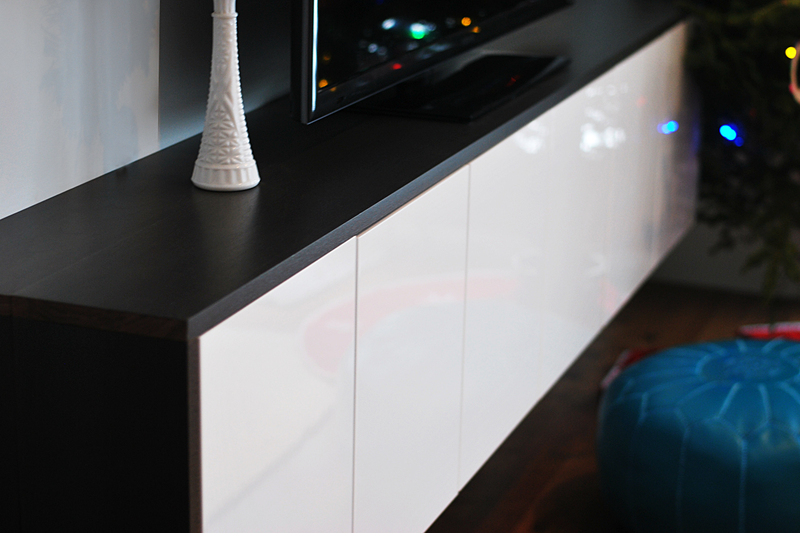 It floats, allowing our high baseboard to stay exposed. 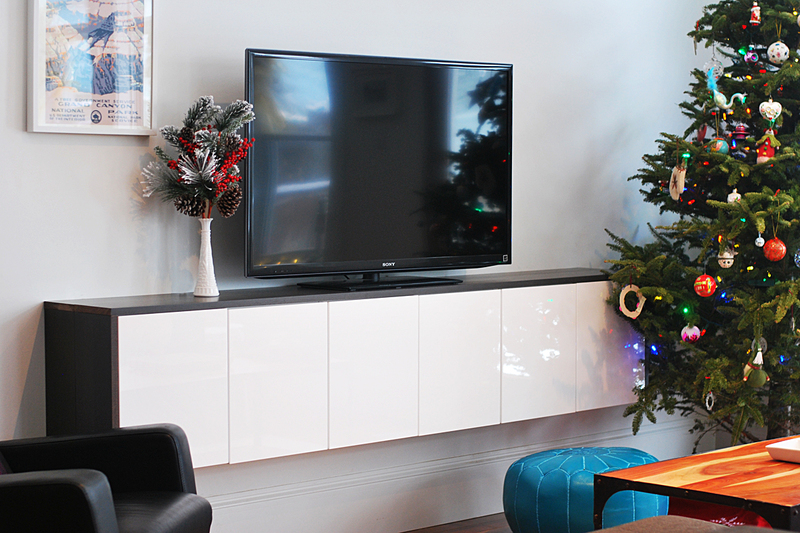 We had leftover wood from out kitchen cabinets, perfect for the full wrap-around. Three words, high gloss white. It hides tons of stuff, including games and the computer. It is narrow and long – perfect for that wall. We held off on the project because of Ikea’s overpriced shipping costs plus, our Golf was fully loaded on our last trip to Montreal. Until… Cyber Monday arrived and a friend gave me the heads up that there was free shipping in Canada! Score. We ordered three Akurum fan cab/ top cabinet to refrigerator and two suspension rails. Mike and his dad did the install, which took less than a day. We are super happy with the outcome and look forward to stuffing the cabinets full of junk. 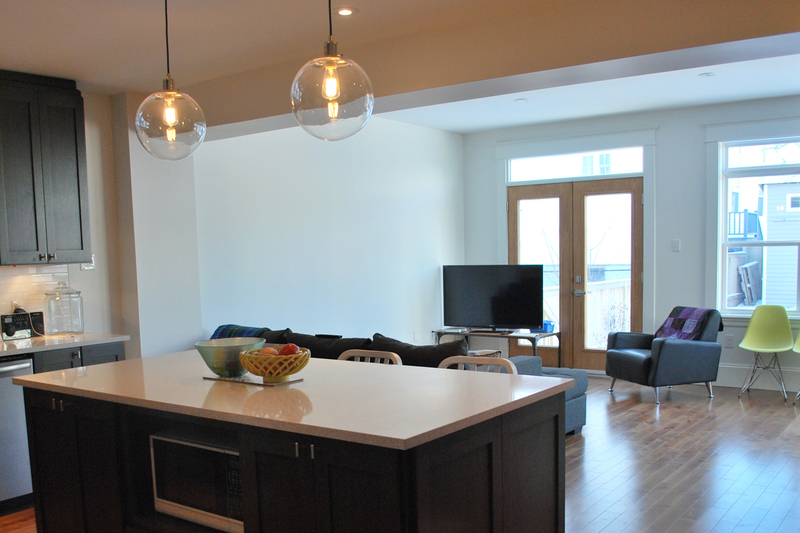 Psst… here is a before shot of the space fresh after the renovation, exactly a year ago. * The former living room is now David’s play room. Meghan, I’m officially in love with your design style. Seriously; I want to hire you when we renovate!